Mercedes’s untouchable total, another milestone for Kimi Räikkönen, a surprising 2018 digit and a perfect points record in Russia for two likely contenders and one from outside the usual record club – Sochi’s intense fifth grand prix threw up some special stats. 5 wins for Mercedes at Sochi Autodrom. Lewis Hamilton’s third win at the track, allied to wins for Nico Rosberg in 2016 and Valtteri Bottas last year maintains Mercedes’ unbeaten record in Russia. Bottas’ second place yesterday saw the Silver Arrows secure their third 1-2 at the Black Sea circuit. 200 career points finishes for Kimi Räikkönen. The Ferrari driver’s fourth place means he joins Michael Schumacher and Fernando Alonso as the only men to hit the double century of points finishes. Lewis Hamilton is currently fourth on the list with 187, while Sebastian Vettel is fifth with 174. 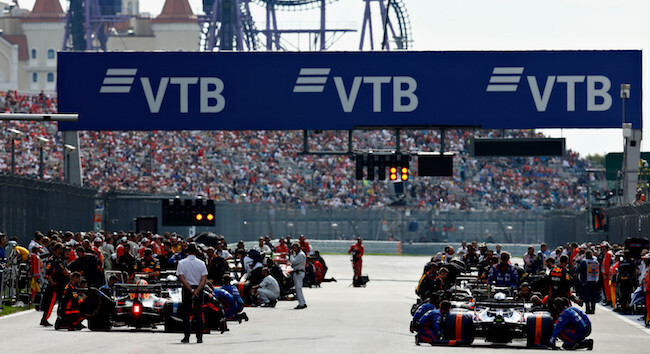 24 laps in the lead for 21st birthday boy Max Verstappen at the Russian Grand Prix, the most of anyone in the race. Sunday’s race was the 12th Max has led in his career to date. Race winner Lewis Hamilton only led for 14 laps, Valtteri Bottas for 11 and Kimi Räikkönen for four. Max’s first lap in charge at Sochi was also the 3500th lap led by Red Bull. 1 remarkably, sunday’s race, the 16th of the season so far, was the first this year without a safety car intervention. In total in 2018, 81 laps have been run behind the safety car across 20 interventions. Azerbaijan saw the most laps behind the SC so far with 13 laps across two cautionary periods. 3 drivers have finished in the points at every Russian Grand Prix to date: Lewis Hamilton, Kimi Räikkönen and Sergio Pérez. All three are podium finishers at Sochi, with Hamilton winning three times and finishing second in 2016, Räikkönen finishing third in 2015 and 2016 and Pérez taking the fifth of his eight podiums to date with third place in 2015.